Find Your Bracket In Seconds! 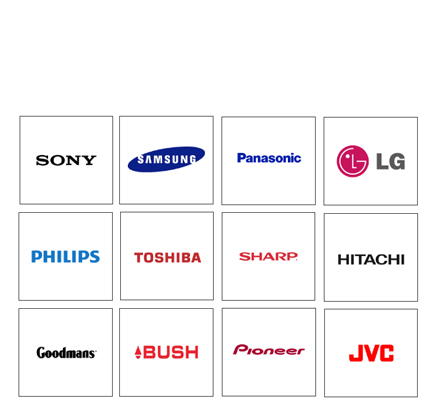 Brand Screen Size Sony Samsung Panasonic LG Philips Toshiba Sharp Hitachi Goodmans Bush Pioneer JVC More than 56" 55" 54" 53" 52" 51" 50" 49" 48" 47" 46" 45" 44" 43" 42" 41" 40" 39" 38" 37" 36" 35" 34" 33" 32" 31" 30" 29" 28" 27" 26" 25" 24" 23" 22" 21" Less Than 20"
TV Wall Brackets was established in 2005 and since then our reputation for offering the best service for wall brackets has never stopped growing. With over 200,000 satisfied retail customers, we are known for having the largest online stock of TV brackets throughout the UK. As well as being known for our great range of products, we also offer FREE delivery to most of the UK through our definitive courier service or at a small fee we can offer Next Working Day delivery or Saturday delivery. Trust is the key of all business and at TV Wall Brackets we can guarantee that we have the wall bracket you are looking for and that it will be delivered safely to your door. In the past we have done business with the likes of Staffordshire University and The Holiday Inn and we also work along side the leading TV brands such as Sony, Samsung and Panasonic, so we can guarantee a perfect fit from one of our TV Wall Brackets. As new technology comes out such as the 3D, LED and 4K, you’re going to want one and you’re also going to want to have a wall bracket which fits your TV and does the job perfectly, well you’ve come to the right place, with the widest selection of wall brackets online you’re going to find the one that suits you. And with our 5-year guarantee on all of Vogel’s products it’s hard to find a better deal anywhere else. 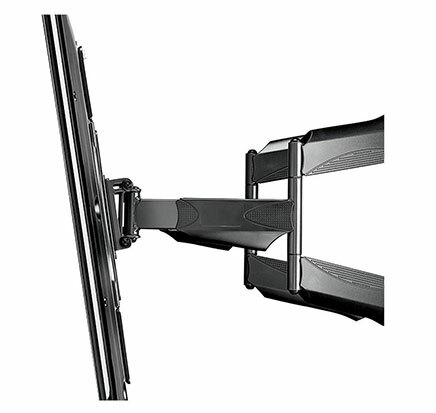 VESA is the industry standard for the hole spacing’s on the back of the screen that the TV brackets fix too. The standards are usually, 75mm x 75mm, 100mm x 100mm, 200mm x 100mm, 200mm x 200mm, 400mm x 200mm, 400mm x 400mm, 600mm x 400mm and 800mm x 600mm VESA hole spacing’s. There are many different types of TV Wall Mount suitable for 3D, LED and 4K TVs that allow you to mount your TV. 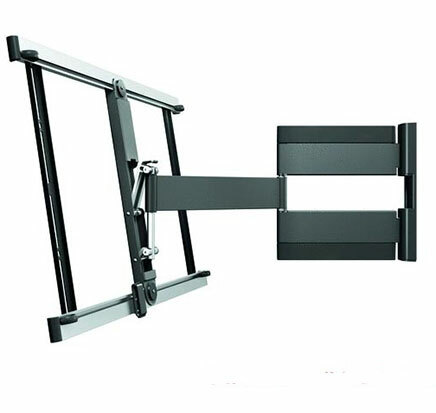 We have a vast range of flat mounts and tilt and swivel mounts, if you were after that sleek modern look these would be the TV Bracket for you. 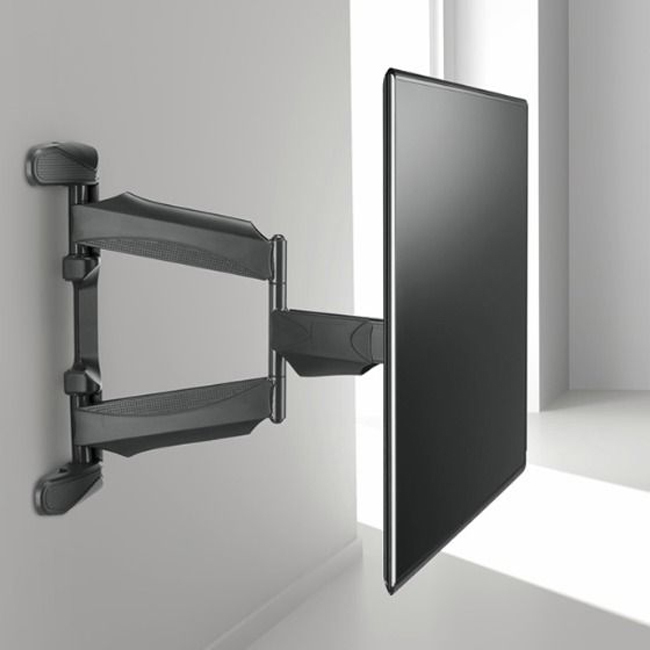 Cantilever brackets are the best of all TV Brackets with their double arm motion, meaning you can have them flat against the wall or pull them out for a better viewing experience. 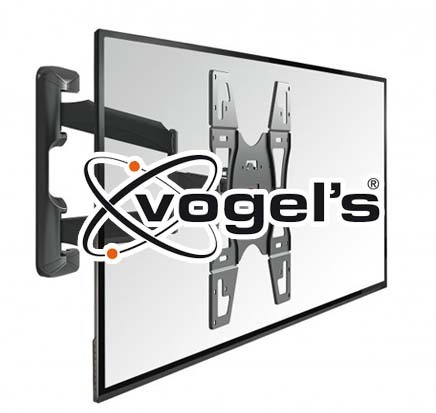 You will find all types of mounts here at TV Wall Brackets on the left hand side of the navigation. Easy to use website. Very fast dispatch and delivery. Bracket went up without any issues, very good quality! I had a few questions on which bracket would be best suited for my needs, they answered every single one of them without hesitation. Can't fault them or the bracket. Many thanks. Fantastic site, found the bracket I needed within a couple of minutes. Order arrived the next day, and was put to use straight away to hold my brand new TV. Thanks.